Previously we’ve told you how to install macOS on Windows devices. The queue is now just the opposite, but the steps you need to follow this time are much easier. Mac users, when they want to use some applications from time to time, such as the application was developed for Windows only can face an annoying situation. Although there are several emulators to run these applications on Mac, our goal today is to install Windows 10 on an Apple computer. Of course we’re not going to give up on macOS. With the Bootcamp method, if you want to split your disk and use the two operating systems together, let’s start. To learn the model year and features of your device, you can enter the icon in the upper left apple icon, About This Mac. If you did not purchase Windows 10 as a physical disk, you can download the ISO file of the Windows 10 version you want to use from the official Web site prepared by Microsoft, activate the operating system by entering the license key that you purchased during the installation phase or later. 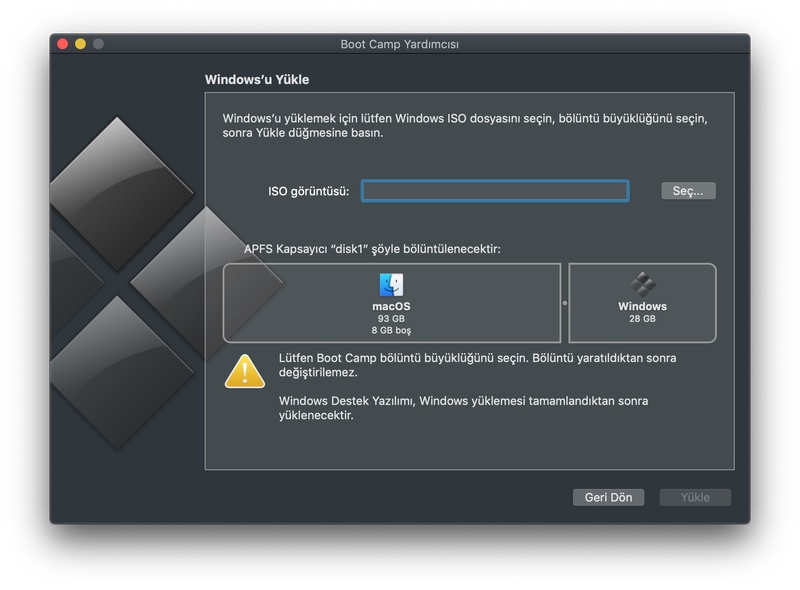 The Boot Camp Helper, pre-loaded on Mac devices, is an Apple application that significantly simplifies the process of setting up Windows as a second operating system. 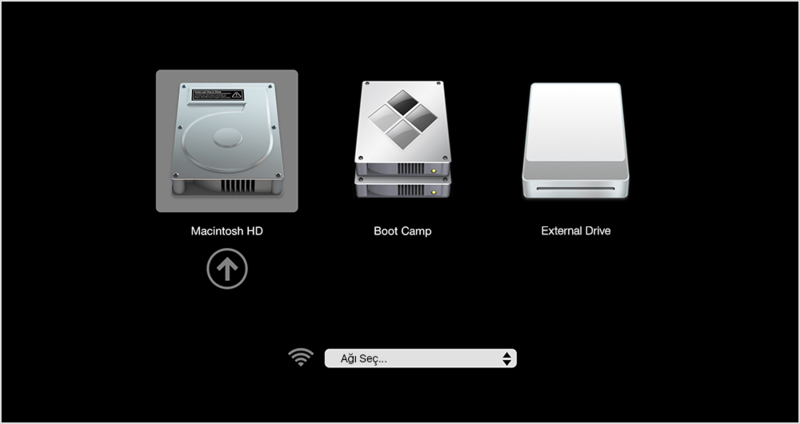 After you open Boot Camp Assistant, you will be in the second step to partition the disk. Select the ISO file you have downloaded here and determine how much of your disk you want to split into Windows. After that, the Boot Camp Helper may ask you to install a minimum of 8 GB of USB memory, depending on the model year of your computer. If your device is one of the following models, a temporary partition will be created on your computer’s disk without the need for an external disk. After the Boot Camp Assistant has made the necessary installations, your computer will restart on the Windows setup screen. At this point, you’ll be asked which disk will be installed by Windows, then continue by selecting the disk called BOOTCAMP. Follow the steps as you would a normal Windows installation and complete the installation. When Windows 10 installation is successful, your device will automatically start the Windows Support Software installation for Mac. This download is required for Windows compatible hardware such as trackpad on your Mac. 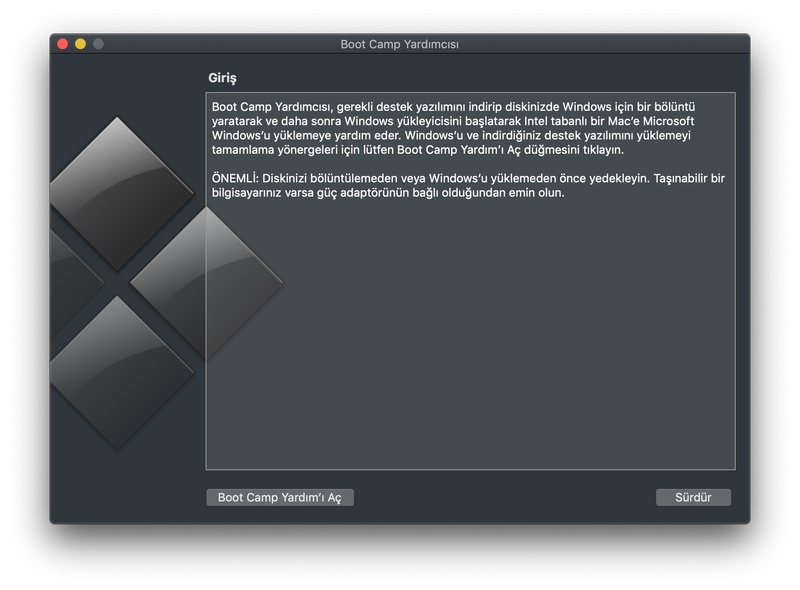 If you do not see “Welcome to Boot Camp Installer” on your screen when you open Windows, you can type “D: \ BootCamp \ setup.exe” on the command line to install Windows Support Software or by entering the BootCamp folder in the OSXRESERVED partition on the D: \ drive. You can run exe. On MacOS, click the logo at the top left to enter the Apple menu and select the Startup Disk setting in System Preferences. You can make this part editable by clicking the lock icon and entering your password. You can then easily select which operating system to choose automatically when your computer is turned on. To switch between the operating systems while the computer is powered on, hold down the Alt key while your Mac is on. You can choose from the next disc selection screen.